Dial 9-1-1 for any emergency. 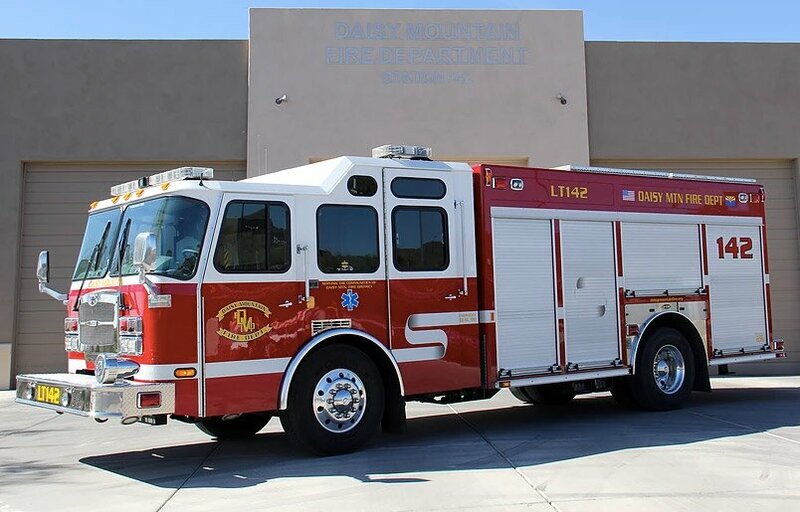 Daisy Mountain Fire & Medical serves Anthem, New River and Desert Hills, with four stations. City of Phoenix residents (with the exception of those living in Anthem) are served by the Phoenix Fire Department. A fire truck at Daisy Mountain Fire Department’s Anthem station. Feb. 8, 2018 — More than 85 percent of all calls to Daisy Mountain Fire Department (DMFD) have nothing to do with fires. So, to better reflect its evolving responsibilities, the organization has changed its name to Daisy Mountain Fire & Medical (DMFM). Administration was moved to Station 142 in late 2017 upon completion of a new administration building. Station 145 was rebuilt and reopened in late 2017.